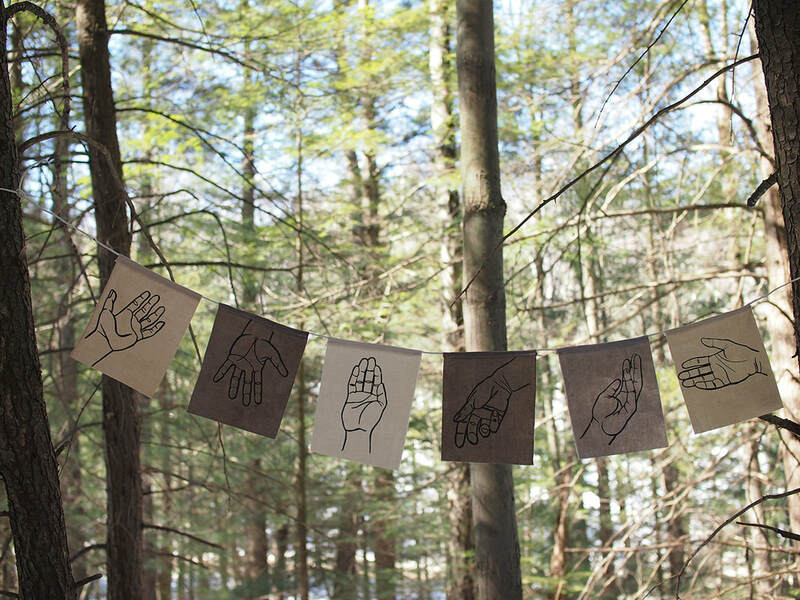 ​I wanted to make something to give back to the land, to decorate the woods with their own colors, as a gesture of thanks. 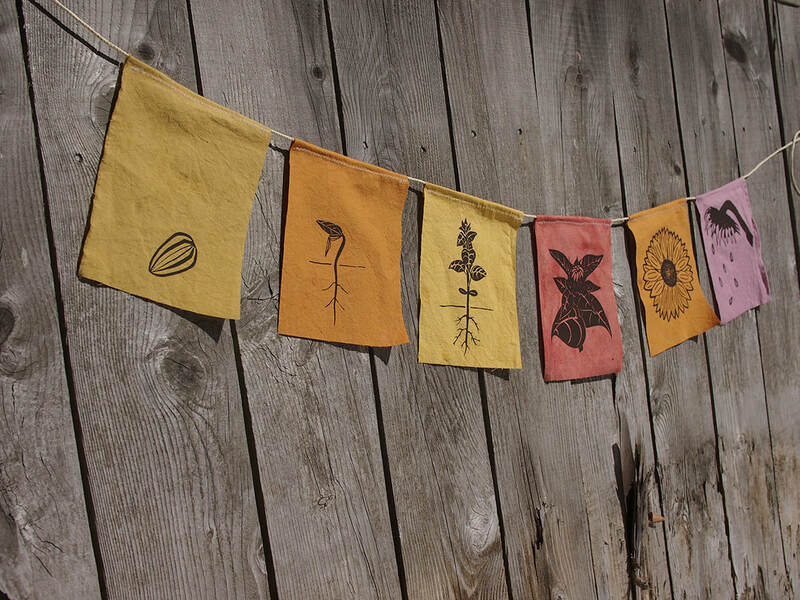 I've drawn a few illustrations that are inspired by various threads of nature wisdom and screen printed them on cotton cloth that I've dyed with natural dyes. I'm happy with the results. 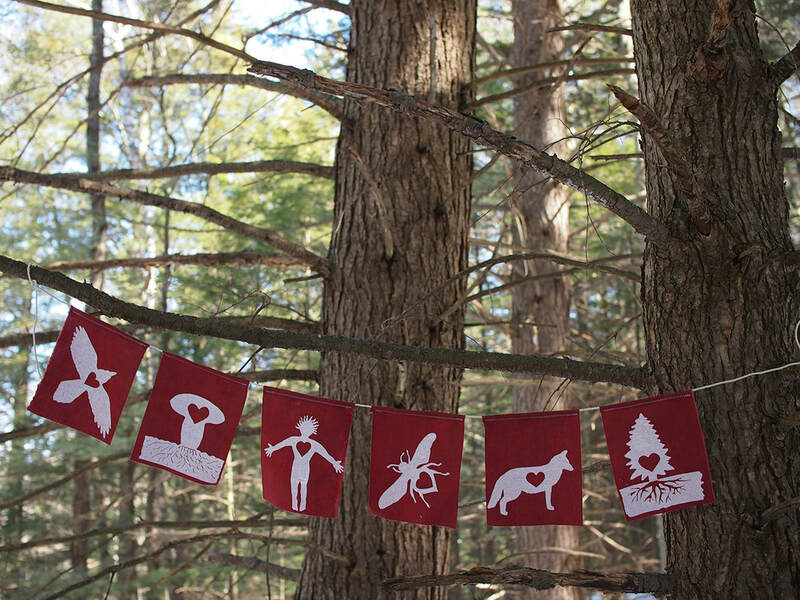 The strings of flags seem to be right at home in the woods and garden. 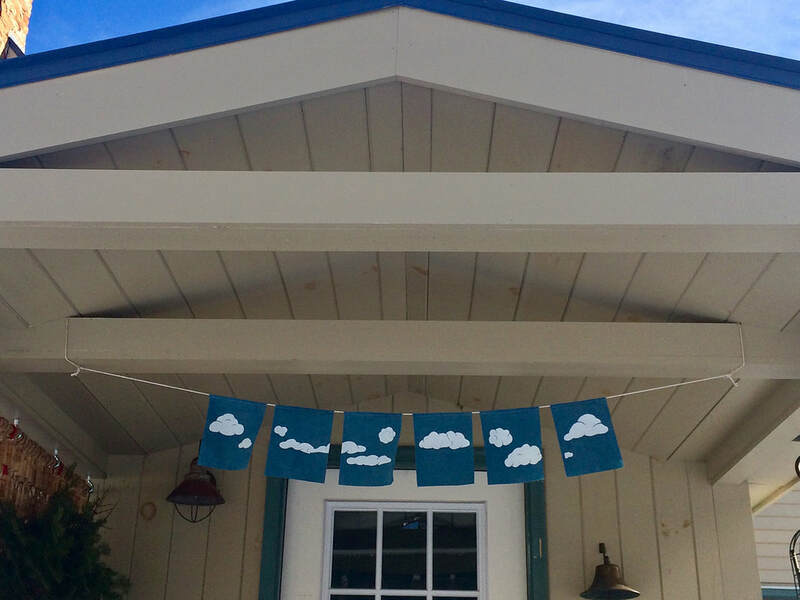 They will tatter, fade, and return to nature if hung outside — in the spirit of the Himalayan prayer flag, dispersing wishes across the land. 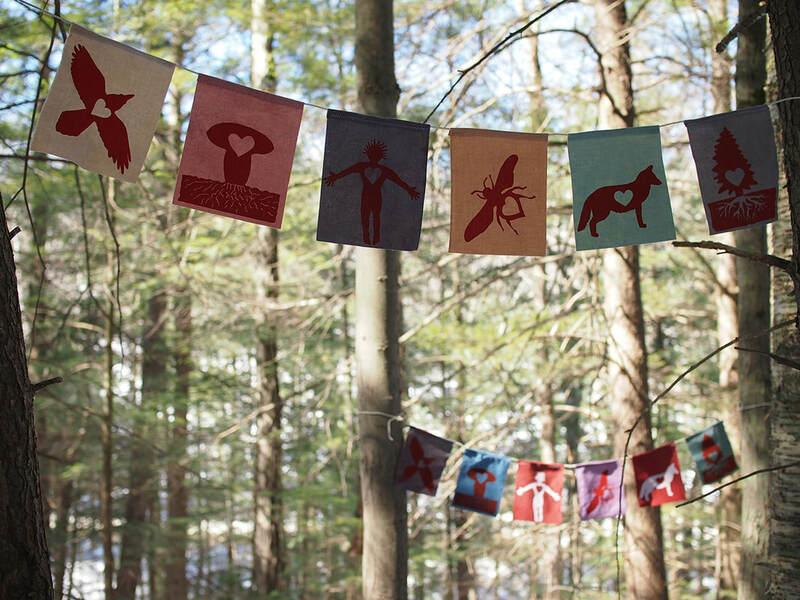 There are 6 designs (with some color variations) and I'm selling them on Etsy for $38 per string.